Tacos, mmmmm what’s not to like in this Mexican treat. A popular dish which uses meat as its main ingredient, but going back to its roots the original one dates even before the arrival of Europeans in Mexico, it was the indigenous people living in the lake region of the Valley of Mexico who created this dish and like this post the main ingredient was fish not minced meat. 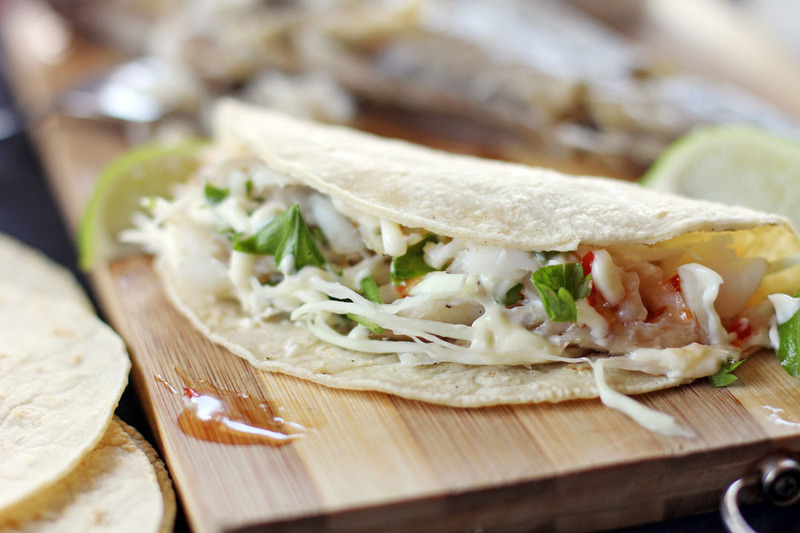 This original version of the taco was one of the staple food of the indigenous North American people specially those who live near the shore, a simple dish where they wrap their plentiful fresh seafood in stone-ground-corn tortillas. As time passed this taco variant lost its popularity making way with what we commonly know nowadays, the minced beef filled tortillas. But during the last 50 years somewhere in Baja California a dish called codnoscenti was born where deep fried white fish is served on corn tortillas with shredded cabbage, sour cream, salsa, and lime. It then started to become popular again then it reached El Norte, during this time the deep fried fish was ditched and replace with a grilled version. Then in mid-1980’s Fish tacos reached California and started to become popular there thanks to Ralph Rubio who introduced this. This Americanized version was inspired from a fish tacos at a local stand in San Felipe, Baja California, it instantly became his favourite and its one of the reasons why he kept coming back in the location every spring break. His preferred fish taco was from a vendor named Carlos, he liked it so much Rubio suggested that Carlos should open a taco stand back in San Diego where he lives. Carlos then dismissed the idea as he does not want to leave Mexico, Rubio suddenly thought if Carlos does not want to open it why not get the recipe so he can do it by himself. Carlos then provided the recipe without the exact amounts but it was not hard for Rubio to work out the amounts with the help of his father. Then in 1983 he opened his first restaurant on Mission Bay Drive in the Pacific Beach area of San Diego which offered this fish taco. Now he own more than 190 restaurants and the rest was history. Mix together canola oil, cayenne, jalapeno, lime juice, cilantro and salt. Pour mixture over the fish and let it marinate for 20 minutes. Grill fish until cooked, roughly 5 minutes on each side, once cooked flake it using a fork. In a bowl mix all tomato salsa ingredients together, lightly mash then set aside. Fill them with cabbage, flaked fish, jalapeno, red onion and cilantro. Dress with sour cream, mayonnaise, tomato salsa and/or sweet chilli sauce. Mayo and sweet and sour sauce on fish tacos? Wonderful recipe! I cannot get enough of fish tacos. I simply love fish tacos! Yum! This is definitely our favorite way to eat tacos! That is how it’s done. Great post Raymund! We were converted to fish tacos when we lived in SD. 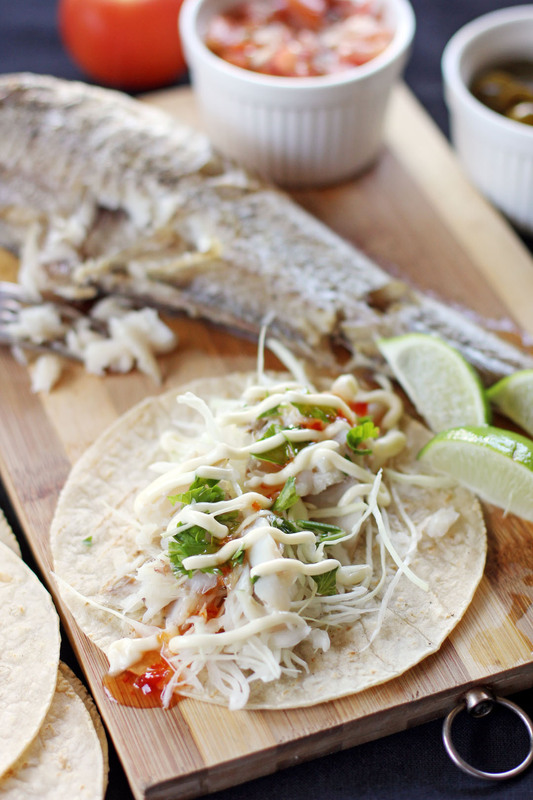 I love fish tacos- they’re such a fast and delicious week night dinner! I’ll have to give your recipe a try! Fish tacos are really popular but if folks knew where you lived there would be a queue down the street for these. Great minds think alike! I am going to make fish tacos for dinner too. I am going to have to give your fish prep a try this time, sounds delicious. You know my teenagers really do not like fish but if I put enough spice in it, they love it. In both Texas and the rest of the US, fish tacos is a must-have…And yours looks super duper delicious, Raymund!!! I make fish tacos at home, but when I see them on the menu, I still order them. Love them and I know I would love yours.